River navigation can be difficult. It’s often hard to see what is around you, due to your low-down position, and hard to place exactly where you are due to limited forward visibility. But knowing where you are on the river is a key canoeing skill. It enables you to judge your time and distance, pick out (then find) a good camping spot and make sure that you don’t miss a good pub. Join us on our Swedish canoe expedition for a true trip through the wilderness. 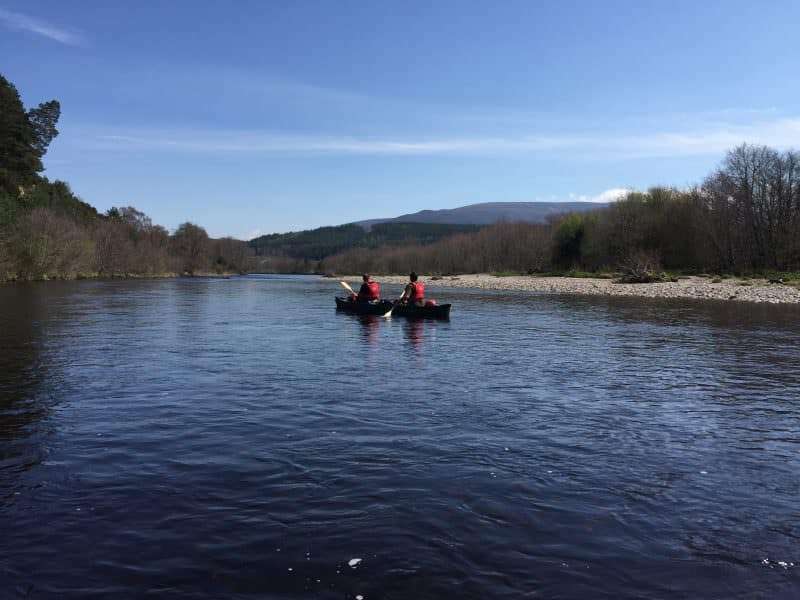 In this blog we’re going to look at how you can tell where you are on the river, how to navigate and how to use your map on the river. As always, feel free to read the whole blog or skip to the part that interests you the most. 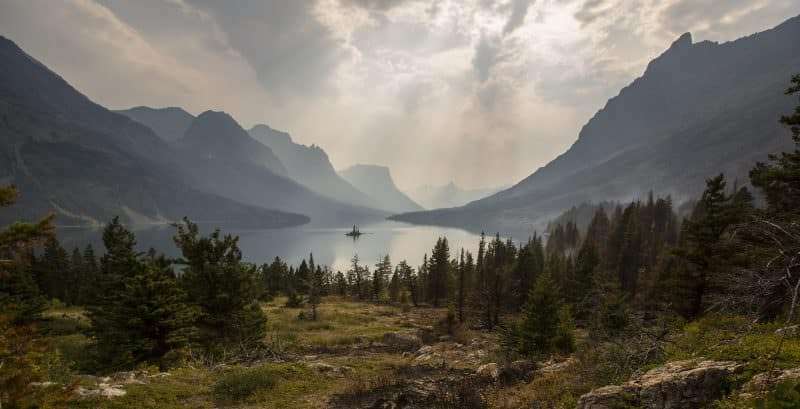 Remember though, canoeing is also about enjoyment, keep an eye on where you are but be sure to take in the scenery as well. Why not join our Facebook group Wildway Bushcraft – Bushcraft tips and advice, where you can ask any questions that you might have about bushcraft and meet like-minded people. Click here to join our Facebook group. 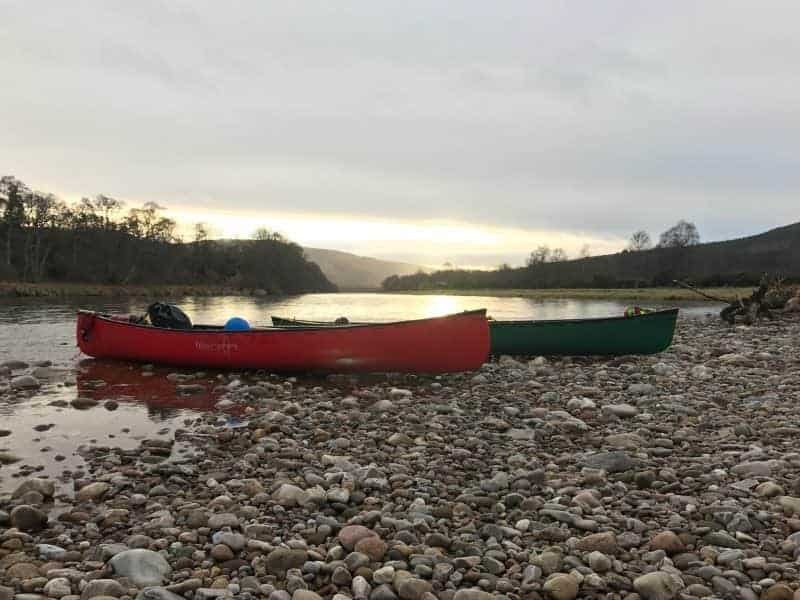 Canoeing rivers such as the Wye, particularly in the summertime, may mean that you might never really need to work to ascertain your location if in any doubt you can simply ask one of the many passing canoeists, riverside anglers or pop into the pub just to check. However, if out in the wilds of Scotland or crossing the remote Swedish wilderness then knowing where you are is important; particularly if someone has an accident or you need to find a pre-arranged campsite in poor visibility. Read on to learn some basic techniques for finding out where you are when on the river. Speed is, as every school child will remember, distance/time. So in order to judge your speed on the river, you need to establish how long it takes you to do a set distance, for example, a mile. In order to get a realistic average, you will need to record this over several miles. After you’ve done this you’ll have an idea of how long it takes you to canoe a certain distance, therefore you can estimate how long your trip will take you, so sit back and enjoy the river. Of course, being able to judge your speed means knowing where you are. Read on to find out more. 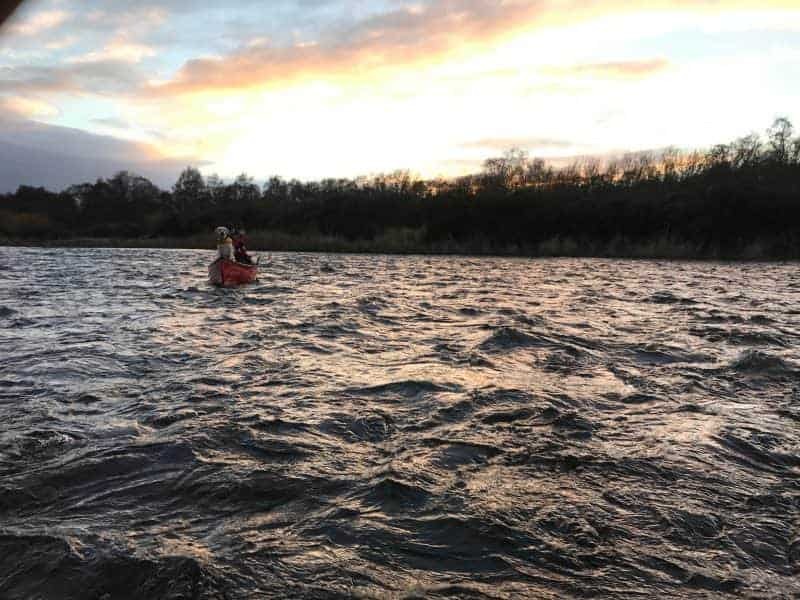 Assuming you’ve basic navigational skills then finding your way on the river is a pretty simple task; it just involves a little bit of readjustment. Note that, in this blog post we are looking at navigation on the UK’s inland waterways – we’ll look at extended open water crossings another day. Bearings are your friend. If you know which way you’re heading when you begin your journey then as the river bends, so will your heading. It is then a matter of lining up your new position, in relation to north, with a part of the river on the map that corresponds to that bearing. For example, if the river heads south then bends east, your compass will show that when you begin your heading (south) then when the compass turns to show you’re heading east – you’ll know you’re on the easterly bend of the river. Use the features visible from the water in the same way that you would if you were walking. What can you see from the river that corresponds to what you can see on the map? Woods, forests, bends in the river can all help you to work out where you are on the river. Certain river features, such as narrowing channels and large bends will also be identifiable on the map; helping you to pinpoint exactly where you are. GPS technology, although still expensive, is more accessible than it was a few years ago. As a result more and more people who enjoy the outdoors are using them. Though you should always carry (and know how to use) a map and compass as well as a GPS the latter can be invaluable in pinpointing your position. A number of specialist GPS systems are available that are designed for kayaking/canoeing. Planning a multi-day canoe trip? Read our blog ‘Packing for a long canoe trip’ here. Local knowledge goes a long way. Before the start of your trip ask canoeing locals, or those outside the are returning from a trip about any particular water features that you need to look out for. 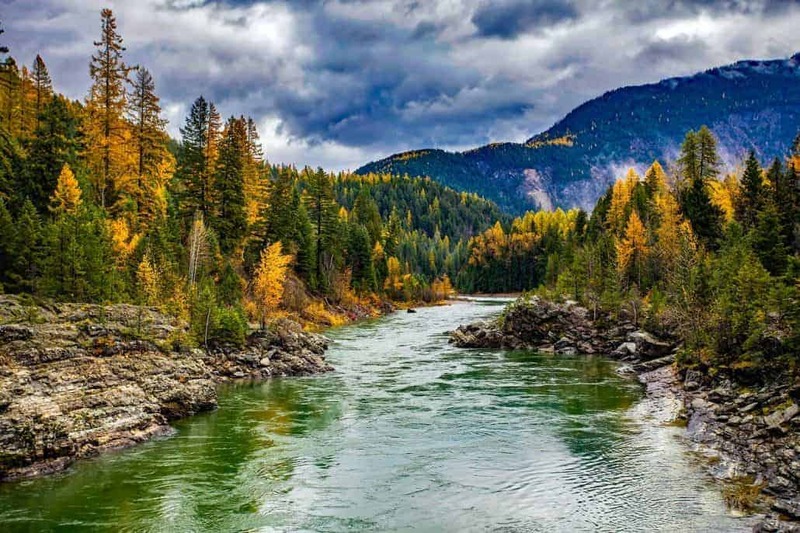 This will not only help you to plot your position on a river where the surrounding terrain may be quite featureless; it will also help you to avoid any potential hazards. You might not always know exactly where you are, but knowing pretty much where you are is a good starting point. Provided that you stick to the main river and not go up any tributaries (unless of course, that’s your plan) it’s pretty hard to go wrong. However, on occasion, you may need to know exactly where you are. In this case, use a version of the walker’s ‘attack points’. These are a series of distinct points on route to your destination. Take note of each one then as you pass them mentally cross them off. This helps you establish an accurate location as you will always be between two ‘attack points’. Next week we’ll be looking at navigating at night when walking, be sure to check in next week to find out more.